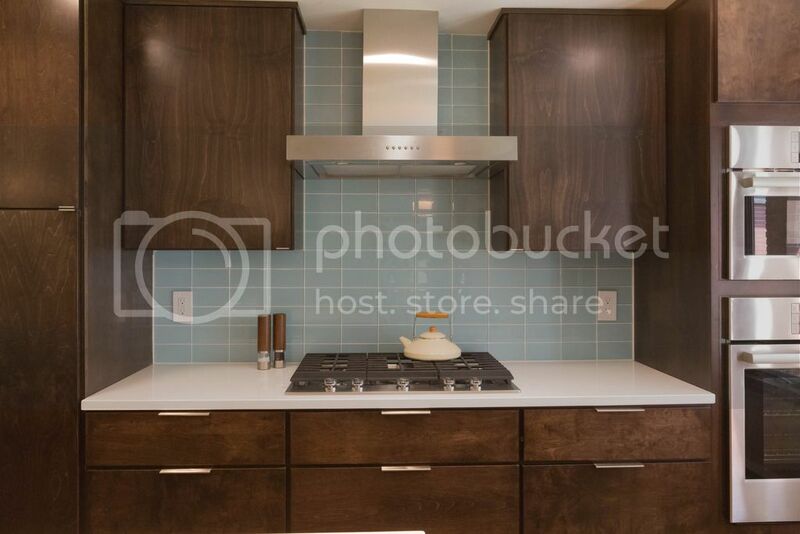 Remember that midcentury kitchen design plan I shared last month? I'm back to share with you the before & after photos. 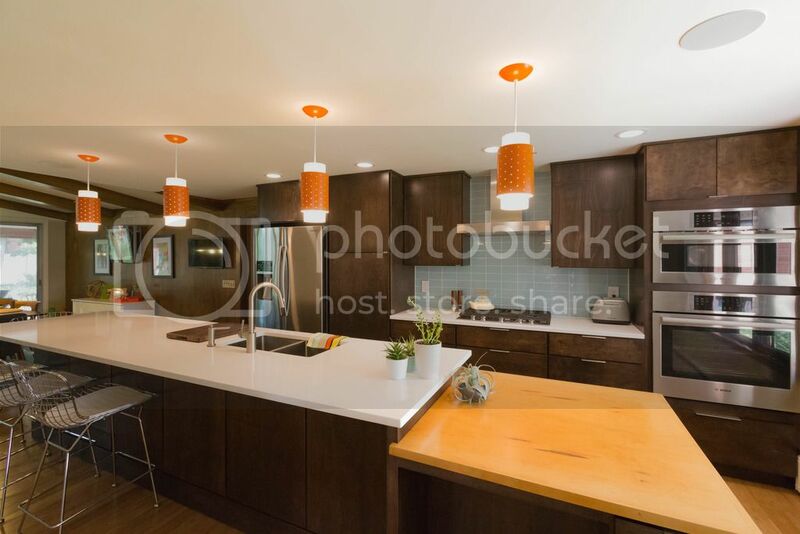 While it was was the original kitchen and it pained me a teensy bit to take out, it simply did not work for the client, and most likely any other modern family moving forward. It was tired, it was small, it had a huge area that was being under utilized. 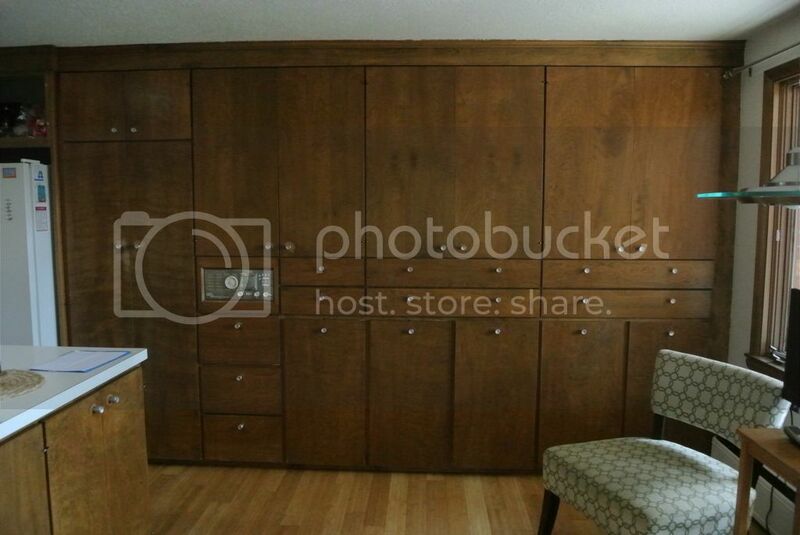 I know, I know - you're going to say, "But, ALETHA!, how could you take out those gorgeous wood cabinets that are original to the house?" And I'd tell you again, they didn't work. The drawers were tiny and hardly held anything, the upper cabinets were hard to reach, etc. etc. etc. 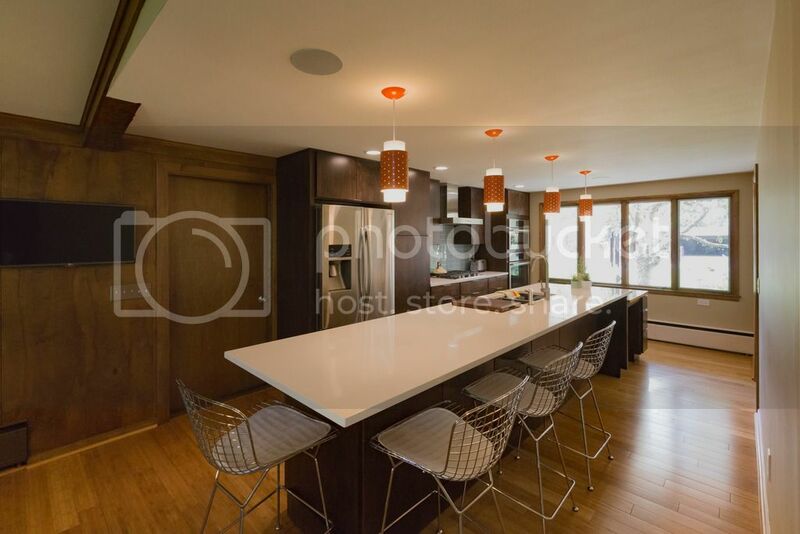 SO, what did we do to make sure this house still had an amazing kitchen that always looked like it had been there, but was modern & fresh & new, AND will be enjoyed for years to come by the current family? We put in this. And it's amazing. And the very best part of it? It totally works for their family. They have TONS of storage. They cook, do homework, eat, and hang in this space. No one is fighting for the only chair in the room anymore! Holy Moly, I've never seen the before photos. What an improvement! Gorgeous! Is the new cabinetry custom? 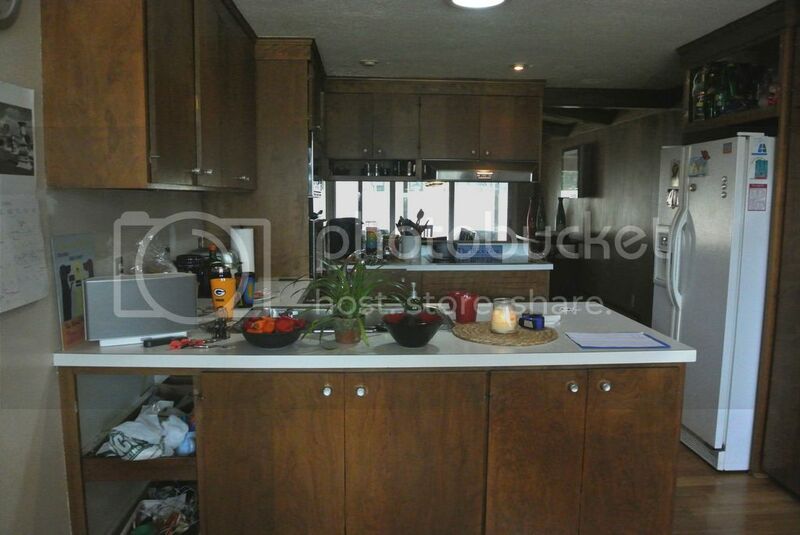 Are those laminate counter tops?